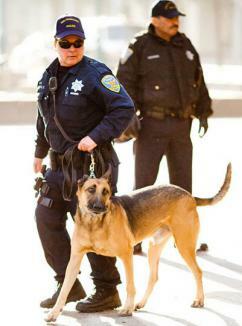 Home Local News & Views SF Bay Area Bringing stop and frisk to SF? Lee, the first Chinese American mayor of San Francisco, said, “I will be tagged – as the minority mayor of this city – for racial profiling.” He’s right – and that tag is entirely justified. According to the New York Civil Liberties Union, Blacks and Latinos were the targets of five sixths of the 685,724 stop-and-frisks reported by New York police in 2011, far out of proportion to their numbers in the city’s population. Lee said his aim is to prevent violence. “We have to get to the guns,” he said. But as San Francisco Public Defender Jeff Adachi commented in an op-ed article, New York police found a weapon in fewer than 2 percent of reported stop-and-frisks. Lee, the first Chinese American mayor of San Francisco, said, “I will be tagged – as the minority mayor of this city – for racial profiling.” He’s right – and that tag is entirely justified. – African Americans experienced felony drug arrest rates 19 times higher than other races in San Francisco, and 7.3 times higher than African Americans elsewhere in California. – San Francisco’s explosion in drug felony arrests of African Americans during the 1995-2009 period did not occur elsewhere in the state, nor for other racial categories in the city. – The city’s African American female youth account for over 40 percent of the felony drug arrests of African American female youths in California and have arrest rates 50 times higher than their counterparts in other counties. – More than half of all youth drug felonies involved African Americans, who constitute 9 percent of the city’s youth, and one third Latino males, who comprise 11 percent of the city’s youth. – Despite disproportionately high drug arrest rates among young African Americans in San Francisco, of the more than 2,000 residents and nonresidents in the city who have died from abuse of illicit drugs in the last decade, six in 10 were non-Latino whites, and more than seven in 10 were age 40 and older. Worse, the longstanding pattern of racism in arrests has been punctuated by acts of police terrorism and murder against young people of color. To take just one example, on July 16 of last year, 19-year-old Kenneth Harding Jr. was killed after San Francisco police fired 10 shots at him. Harding was gunned down for running away from police after allegedly failing to produce proof of payment for a $2 transit train fare. The current period of skyrocketing arrest rates, beginning in 1995, coincides with the “dot-com boom” of the 1990s and the “Web 2.0 boom” of the last decade. Large numbers of venture capitalists and computer software, marketing and sales professionals have been moving in, and opportunistic developers and landlords jacked up rents, changing the social geography of the city in the process. African Americans have been driven out of San Francisco. Their numbers have declined from 10.9 percent of the population in 1990 to 6.1 percent in 2010. Enter Mayor Ed Lee, appointed Jan. 11 to finish the term of Gavin Newsom when he resigned to become lieutenant governor. Lee began making friends with tech capitalists left and right. He led an effort last summer to extend a tax break to Twitter to entice the Internet giant to locate its new offices in the high-poverty neighborhood of Mid-Market. The San Francisco Bay Guardian has reported how billionaire investor Ron Conway, in love with the Twitter tax break, raised huge sums of money to elect Lee to a full term in office last fall. In turn, an investment group associated with Conway made a $66 million profit in seven months when one of its properties in the Mid-Market district appreciated in value following Twitter’s move-in. These are the sort of super-profits that Lee wants to protect with his proposal for further intensification of racist policing with the implementation of a stop-and-frisk policy. In the same way that New York Mayor Rudolph Giuliani “cleaned up” Times Square for tourism and commercial development in the 1990s, Lee aims to “clean up” Mid-Market and other San Francisco neighborhoods for Silicon Valley capitalists. 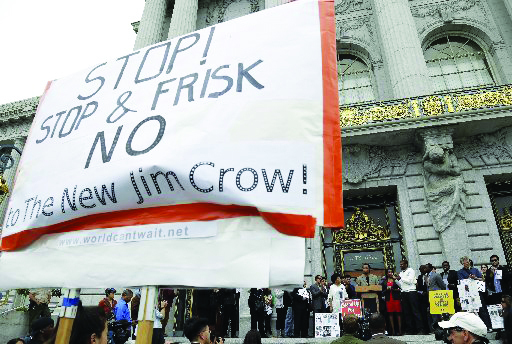 Activists in San Francisco have already started mobilizing to oppose stop and frisk here. Thousands of people signed a Change.org petition opposing the policy, and the Asian Law Caucus is drafting an open letter to the mayor’s office decrying this proposed rollback of basic civil rights for people of color. District 10 Supervisor Malia Cohen sponsored an anti-stop-and-frisk resolution that was passed unanimously by the city’s Board of Supervisors. If San Francisco residents can create enough of a public political backlash now, it’s possible that Lee will have to drop his racist proposal. That would be an important step in pushing back against the politicians and developers that are trying to turn San Francisco into a playground for Google and Twitter – by driving out poor people of color. Alex Schmaus, a journalism student at City College of San Francisco, can be reached at aschmaus@theguardsman.com. He is a regular contributor to the Socialist Worker, where this story first appeared.